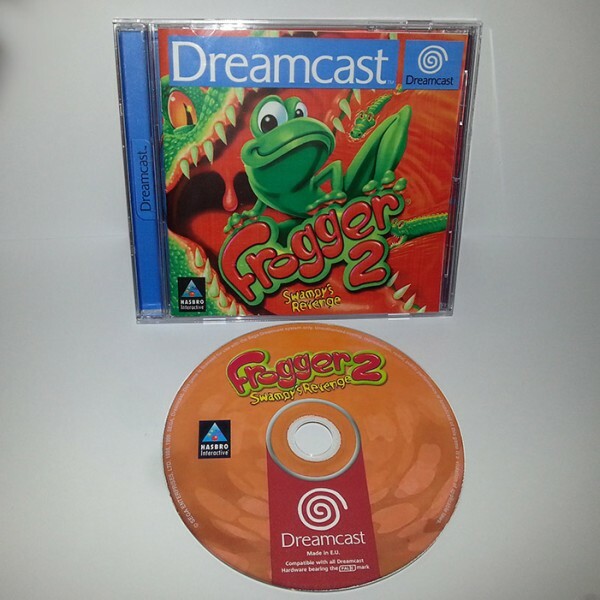 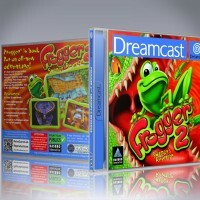 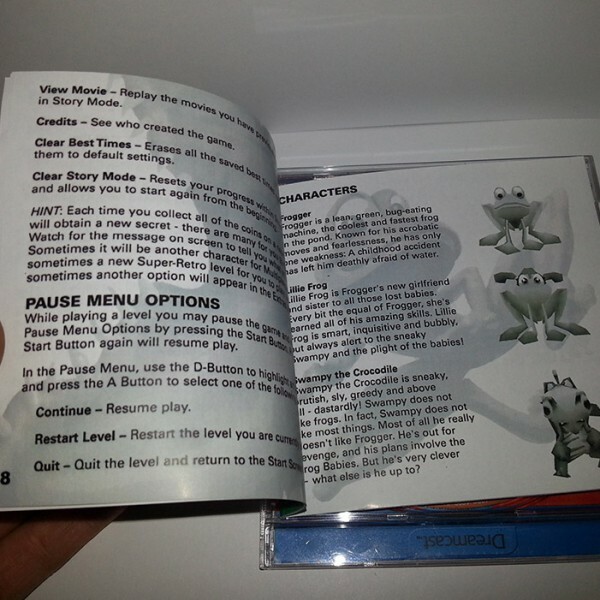 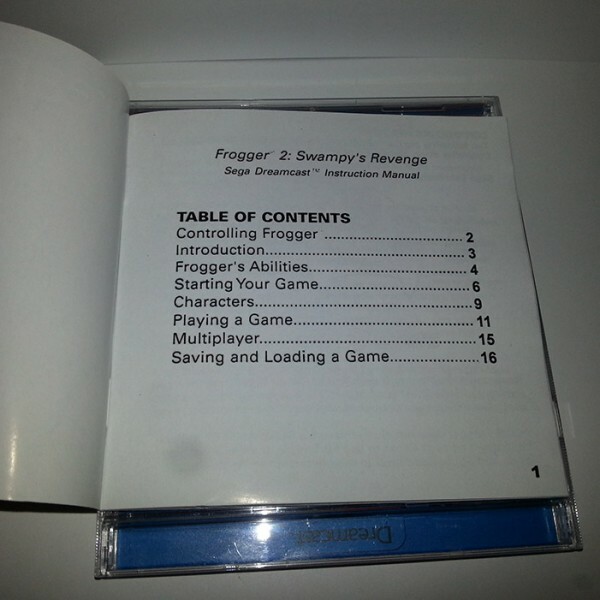 Frogger 2 : Swampy's Revenge Reproduction Game for the Dreamcast. 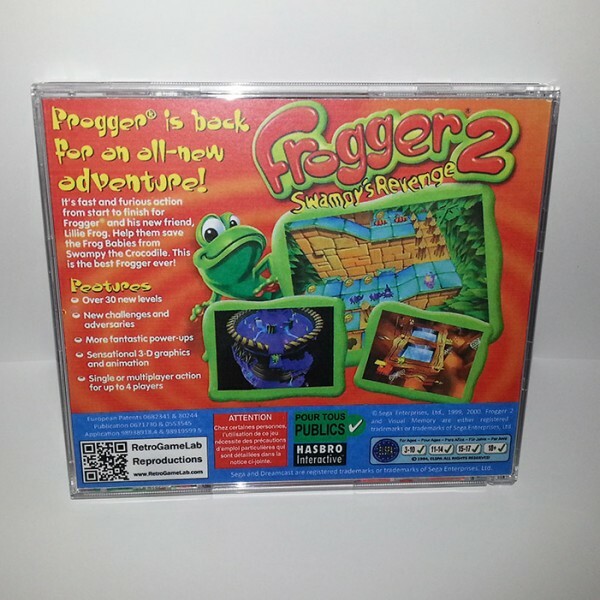 Only released in the USA now availble for PAL systems! 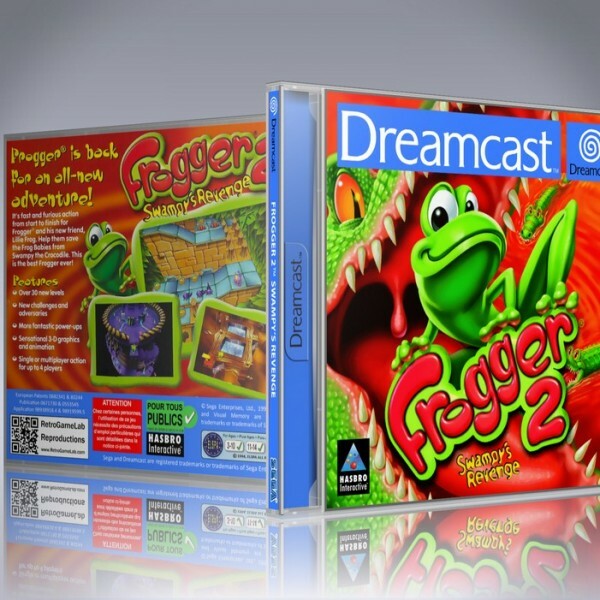 Like the first game, Frogger is still entrusted with saving different frogs (his youngsters, in this games) yet the stages are rendered in full 3D and Frogger now can perform distinctive jump techniques. 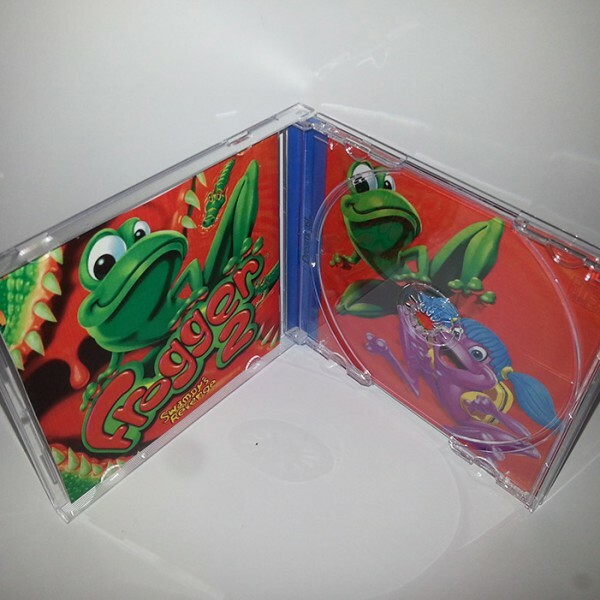 This game is more action based than the 1997 remake.